It is easy for life to sweep us away on the current of self-importance. I don’t think we mean to; it just happens to be the way our culture works. Fast and busy and “me” centered. This way of life isn’t just an adult thing. We have shown our children how to do it. They, too, are pounded with the every day commitments we give them and allow. This way of living is like a fierce version of the Tango but at a pace it was never intended to be danced at. This is my life as well; I made the same choice you did, to be a part of this me-speed machine. 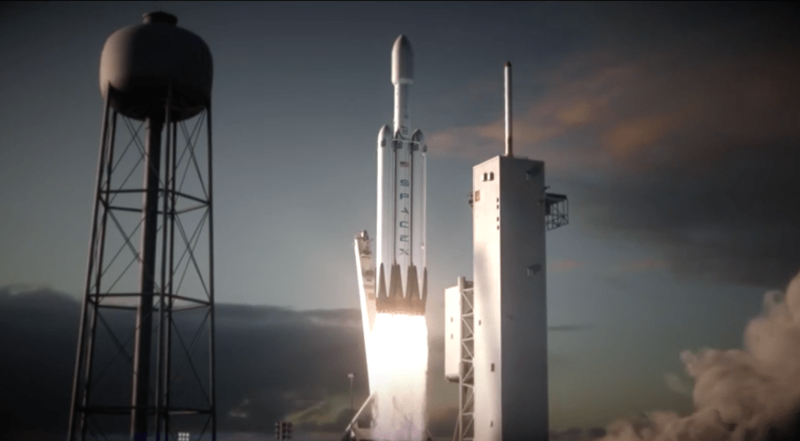 Two events recently occurred that has made me slow my dance steps down and see those around me better: the launch of Falcon Heavy and a philosophical discussion on whether we should migrate to Mars. The only word that I can give to the launching of Falcon Heavy is wonder. Watching the launch left my mouth open but with no words. There was something eerie when the side boosters landed on Earth again. This shouldn’t be happening, I told myself. Side boosters don’t come back, they just don’t. Again, the wonderment had me re-watching several times over until the busy day I had, had dragged my eye lids closed. Two weeks later the philosophical debate on whether humans should migrate to Mars coincidently dove-tailed with the SpaceX’s launch. The discussion was an interesting juxtaposition to my earlier experience of watching the Falcon Heavy launch. I entered the discussion, as I do monthly, with great enthusiasm about the topic. How could I not with this particular idea? We were going to talk about the possible expansion of our kind. To me, the feeling I had could be analogous to what people must have felt when travel to the New World seemed impossibly possible. The feeling was akin to infectious hope sprinkled with reservation. The New World, that is Mars, seems so alien, so inhospitable, could we ever truly make a life there? It was after this debate that I have felt my mouth go dry with disappointment and my inner Tango stumble with the memory of a statement made earlier in the discussion, “What did schlepping to the Moon ever get us?” I shouldn’t judge I know… but I did. This question has forced me to understand the alternative purpose that Elon Musk had when he sent his Tesla roadster into space. He didn’t use his car solely as payload… he used it to get our attention. I have to ask; I have to know. When did we stop looking up? When did we stop finding continual inspiration in the stars and unimaginable possibilities in worlds that seem unreachable? I cannot help but to understand Elon Musk’s strategy. He needed to pull our eyes off the ground by wowing us with his fancy car whizzing around Earth’s orbit because a rocket that brings us one step literally closer to Mars, wasn’t and isn’t enough. My hope has been temporarily dampened, but it still remains because it is possible to change the rhythm by which we live to include the stars. Space exploration isn’t about man schlepping through the cosmos; it is about us making a bigger place for ourselves in that inky black sky. And the possibility that we are closer than ever to doing just this gives oxygen to that small flicker of hope.